Nellis Air Force Base is located in Clark County Nevada, near Las Vegas, approximately 293 miles from Los Angeles, 298 miles from Phoenix and 288 miles from the Grand Canyon National Park. The local area has low annual humidity of 20 percent with 310 days of sunshine (85 percent) and a low annual rainfall of only 4.13 inches. Summer temperatures average above 100 degrees while nights are pleasantly cool. Winter temperatures range from the mid-40s to the upper- 60s. High velocity wind storms and accompanying dust storms occur occasionally. The history of Nellis AFB began with a survey in October 1940, by Major David M. Schlatter of the Army Air Corps, who examined various sites in the southwest in search of a location for an aerial gunnery school. Las Vegas was attractive with its clear weather and year-round flying conditions, and the then-impoverished city was eager for a military base. On January 2, 1941, the city bought an airstrip run by Western Air Express and leased it to the Air Corps three days later, the plan being to use the strip for both military and civilian aircraft. Construction of the "Las Vegas Army Air Field" began in March 1941, and the first commander, Colonel Martinus Stenseth, arrived in May. Much of the early gunnery training which began in January 1942, used machine guns mounted in trucks and targets on railroad cars to accustom students to firing at a moving target. World War II made the base's mission especially urgent and by the end of 1942, 9,117 gunners had graduated, with aircraft in use including Martin B-10s, AT-6s, A-33s, B-17 Flying Fortresses, B-24 Liberators, and B-26 Marauders. At the height of training in 1943 and 1944, over 15,000 men and women were at the base. Actors Ronald Reagan and Burgess Meredith came to help produce the propaganda film Rear Gunner. Much of the training was for B-17 gunners, then at the beginning of 1945, emphasis shifted to the B-29 Superfortress. An innovation was the use of a specially-designed target aircraft, the RP-63, which was sufficiently armored to be shot at with breakable bullets. At war's end, the school had trained over 45,000 B-17 gunners, and over 3,000 for the B-29. The gunnery school closed in September 1945, and the base itself was officially inactivated in January 1947. It was reactivated by the newly-created United States Air Force in March, 1948, which organized an advanced single-engine school. The first Air Force Gunnery Meet was held at the base on May 2, 1949, with competitors from 14 Air Force units, flying both prop and jet aircraft. The base was renamed Nellis Air Force Base on April 30, 1950. Shortly thereafter the base was again needed to prepare pilots for the Korean War, first with F-51 Mustang training, and then with F-80s and F-86 Sabres. The base also became a part of testing programs for new aircraft. Because of Nellis' good year-round flying weather and location, it is an ideal place for advanced combat aviation training. There are approximately 11,000 military and 3,700 civilians who work at Nellis. On average there are over 1,200 temporary duty (TDY) personnel each day at Nellis, and over 8,000 official visitors annually. Transportation is available for permanent party personnel for official use. For more information and policies contact Vehicle Dispatch at 702-652-8305 or DSN 312-682-8305. Nellis Air Force Base is located northeast of downtown Las Vegas, approximately 293 miles from Los Angeles, 298 miles from Phoenix, 419 miles from Salt Lake City and 288 miles from Grand Canyon National Park. 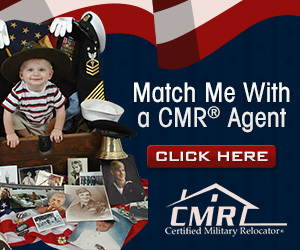 If arriving in Las Vegas by civilian airline Nellis AFB is located about 15 miles from McCarran International Airport. Follow signs to Interstate 15 (I-15) North to the Craig Road exit. Go right, or east, onto Craig Road. 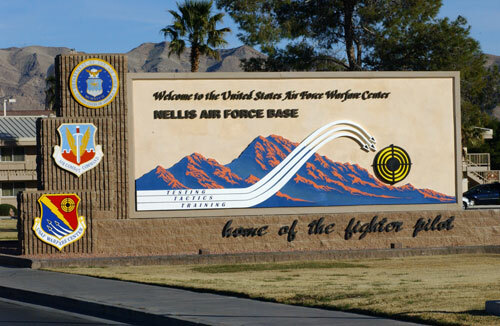 Nellis AFB main gate is located east of Interstate 15 at the end of Craig Road. Members and their families can board the Westcliff Express (WAX) Nortbound at zero level and take it to the Downtown Transportation Center for a transfer to the Max (Bus #113 North). The Max would then take them to the base. For schedules, visit their website. Cost for the trip is $5 one way, $7 round trip. Ticket is good for 24 hours as a day pass. The approximate travel times would be around 1 hour from the airport to the base. From Las Vegas Bus Stations go north on Main Street which will merge with Las Vegas Blvd North. 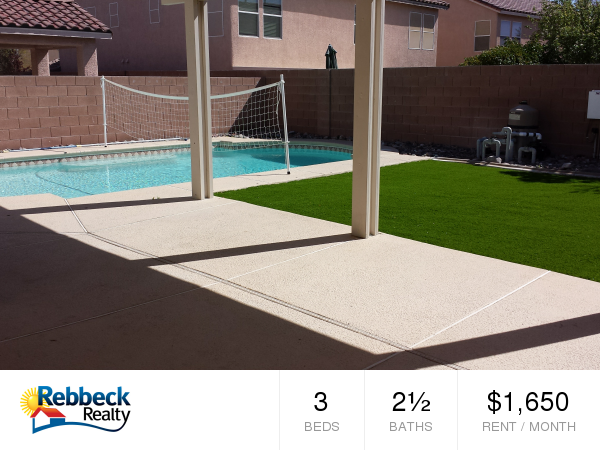 Nellis AFB is located on Las Vegas Blvd about 8 miles east of the Bus and Train Stations.